A former foreign correspondent for Stern, first in America and then in Asia, German author Jan-Philipp Sendker revealed his talents as a storyteller with his lush debut novel The Art of Hearing Heartbeats. 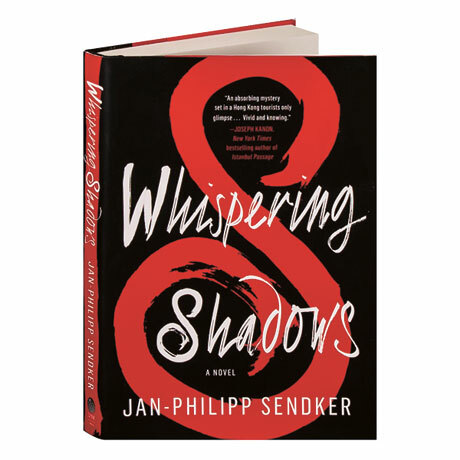 In Whispering Shadows, the first in a planned trilogy, he takes us into the brackish waters of postcolonial Hong Kong, where global consumerism mixes turbulently with vestiges of the Cultural Revolution. American expat Paul Leibovitz was once an ambitious advisor and dedicated family man, before a personal tragedy unraveled his life. Now a recluse on an outlying island of the city, he makes a fleeting connection with Elizabeth, an American woman on the verge of collapse. When her son is found dead in Shenzhen less than 24 hours later, Paul sets out to investigate the murder on his own. With Elizabeth and a detective friend, he descends deeper into the Shenzhen underworld (against the wishes of a woman with whom Paul has had a flirtation), and the three discover dark secrets hidden beneath China's booming new wealth. Part love story, part crime thriller, the novel traces one man's search for redemption within the vice of a world superpower, a place where rich businessmen with expensive degrees can corrupt the judicial system, and secrets from the past threaten to upend the country's unchecked drive towards modernization.